The Chairman, African Newspapers of Nigeria (ANN) PLC, publishers of Tribune titles, Ambassador (Dr) Tokunbo Awolowo-Dosumu, has disassociated herself from political campaign posters in circulation and on some online platforms, purportedly printed, in endorsement of the Buhari/Osinbajo ticket ahead of the presidential election coming up on Saturday, February 16, 2019. Ambassador (Dr) Awolowo-Dosumu is the daughter of Chief Obafemi Awolowo, a founding father of Nigerian nationalism. 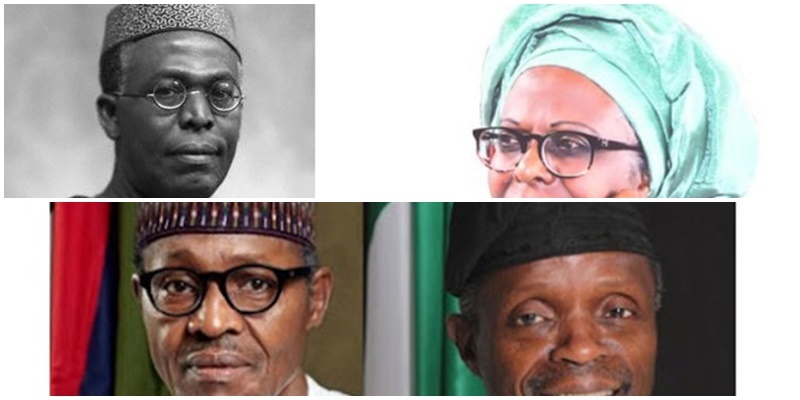 Recall the wife of Nigeria’s Vice President, Dolapo Osinbajo is a grandchild of Chief Obafemi Awolowo; her mother is late Otunba Olubusola Soyode. Reacting in a statement she personally signed on Sunday about the alleged endorsement, she said: “My attention has been drawn to political campaign posters in circulation and on some online platforms, purportedly printed, courtesy of myself, in endorsement of the Buhari/Osinbajo ticket ahead of the presidential election coming up on Saturday, February 16, 2019. “Whereas, it is my right to endorse candidates for political offices based on my conviction, this inalienable right is not transferable. I, therefore, consider this attempted blackmail utterly preposterous and I totally reject it. I do not belong to any political party. I restate my commitment to the sustenance and promotion of the legacy of Chief Obafemi Awolowo and his Jewel, Yeye Oodua H. I. D. Awolowo, in every detail. I note the emerging consensus that Awo’s prescriptions continue to be the unassailable strategies for development in this country.